Today is Friday and that means a Design Team project for the Just Imagine Crafts/Kreaxions Punches Blog. For today’s project I created a page for baby Vincent’s album. This is Charlene at 6 months (23rd week). I love getting out my messy supplies to create with! Using the Kreaxions punches to create border strips has become one of my go-to techniques for adding that “extra something” to my pages. For this page I created the border strips using the Kreaxions 4 in 1 punch # 303. 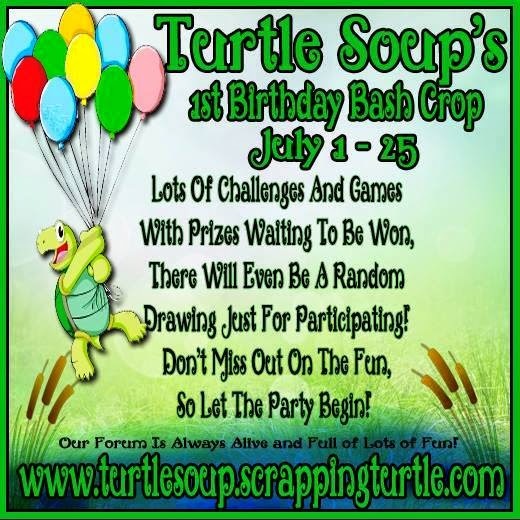 Turtle Soup's First Birthday Bash Crop. It’s Friday and that means a Design Team project for the Just Imagine Crafts/Kreaxions Punches Blog. Today a created a card using the Kreaxions 4 in 1 punch #303. I created a border strip and then highlighted the edges with a gold metallic dabber. Be sure to check out the blog and see what the rest of the design team did this week. The last time I was in Target I found a sleeve of peat pots in the $1.00 bin. I had no idea what I was going to do with them at the time. But for $1.00 could I go wrong?! I knew I would find something to do with them. I came home and started looking on Pinterest (I LOVE Pinterest!) and discovered altered peat pots. I’m just going to say this is my new favorite thing to alter. The possibilities are endless! I had the opportunity to work with the My Mind’s Eye Now & Then Izzy Decorative Stickers … and I love them! So many ways to use them. 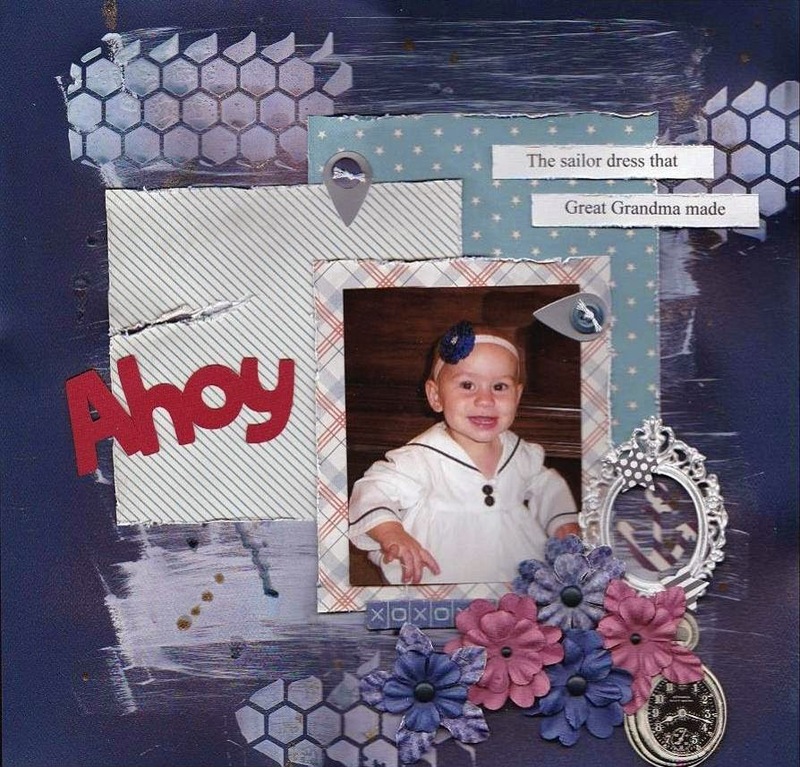 My mother made this sailor dress for my daughter Jessica. It happened to be one of those precious things I saved. Jessica’s daughter Gracelynn got to wear it too. 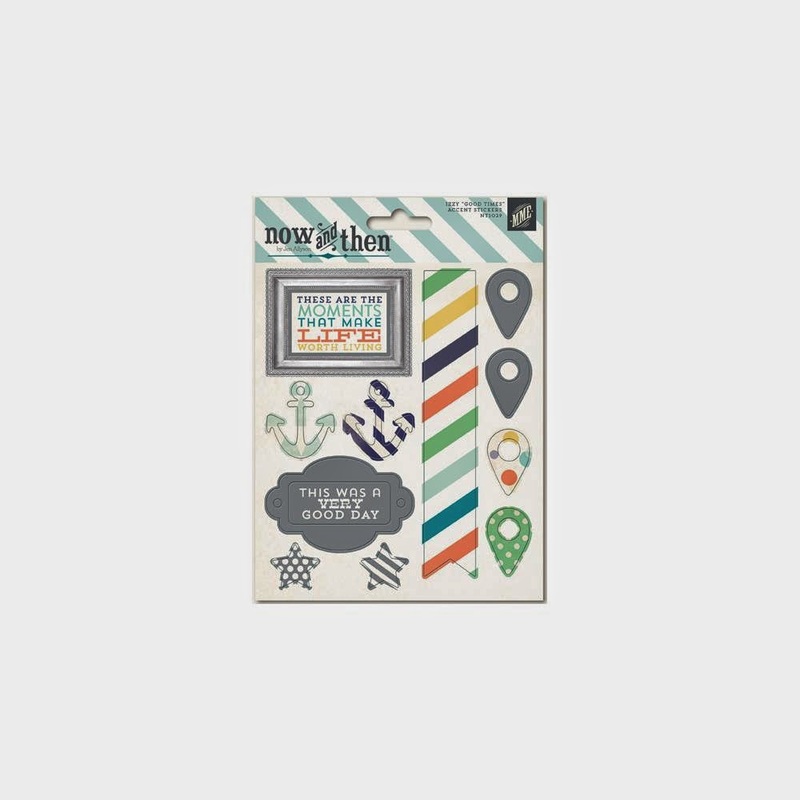 The My Mind’s Eye Now & Then Izzy Decorative Stickers where the perfect accents for this layout. 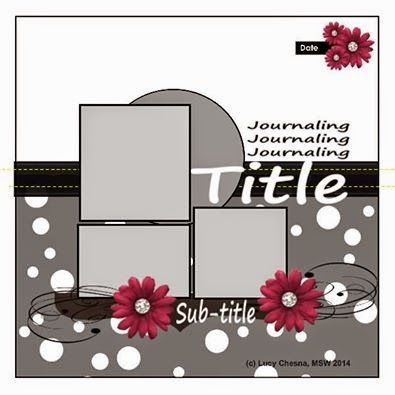 Be sure to check out the Scrapping Turtle Blog to see other creative ways the Design Team used these decorative stickers. There is a Design Team Reveal up on the Just Imagine Crafts/Kreaxions Punches Blog today. Be sure to stop by and check out all the amazing projects from the rest of the Design Team. Today I have a My Sketch World Design Team project to share. 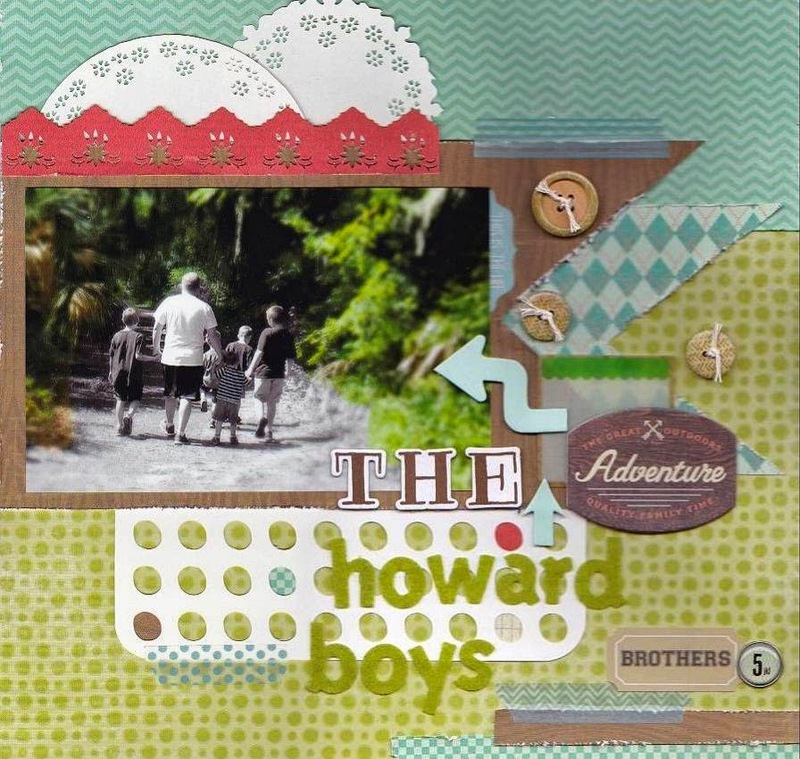 I created this layout using Lucy’s June Sketch. I’m always amazed at how many takes you can have from one sketch! Be sure to check out the blog to see the rest of the design team projects. I hope you will join us … can’t wait to see what you come up with! It’s Friday and that means a Design Team project for the Just Imagine Crafts/Kreaxions Punches Blog. I have always been intrigued by Origami. When I found the directions for an Origami Shadow Box Fold it looked like something I could pull off. I created this card using the fold but with a twist. I added punched corners. I used the Kreaxions punch #916 with the B insert. Be sure to check out the blog and see what the rest of the Design Team has done this week. It’s Friday and I’m sharing a card I created for a Design Team project on the Just Imagine Crafts/Kreaxions Punches Blog. I used the positive and negative punched pieces from Kreaxions punch #310 with no insert. Be sure to check out the blog and see what the rest of the Design Team has done this week. Wednesday = A Crash Your Stash Challenge at Turtle Soup. I just so happen to have the challenge today. If you’re like me you have a lot of left over paper from your paper crafting projects. And lots of embellishments left over from when you only use one or two of something from a package. I toss my paper in a 12 X 12 plastic container just in case … and the left over embellishments go into a box … and there they sit. Lately I have been making a conscious effort to use up my stash of leftovers. 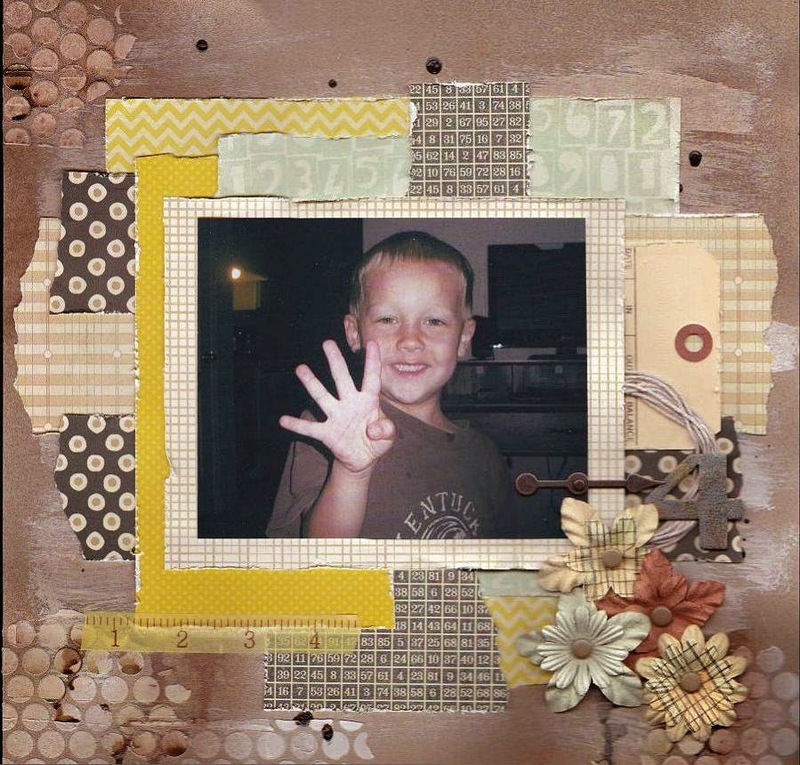 My challenge to you today is to create a layout, card, tag or ATC using one piece of cardstock (as your background) and the rest of what you use has to be leftovers from other projects. So dig through your stash and find that patterned paper, leftover flowers, chipboard and other embellishments and start creating! I created this page using nothing but leftovers from my stash.